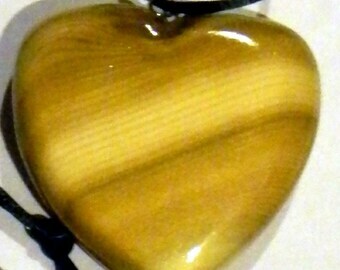 A beautiful piece of art made from different woods. 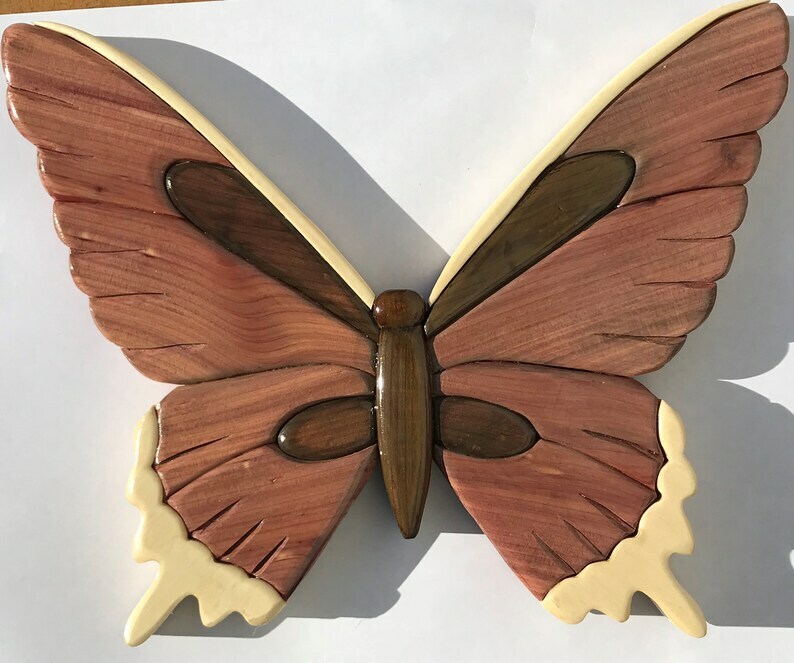 This intarsia wood butterfly measures about 11-1/2 x 9-1/2 inches. The purplish wood is aromatic red cedar. 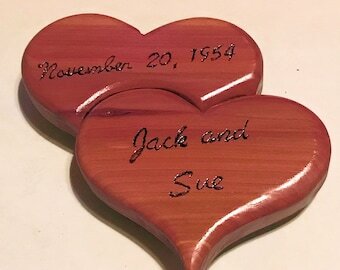 The brown is ebonized red cedar, and the white is aspen. Finished with a clear semigloss waterborne finish. Hanger attached. 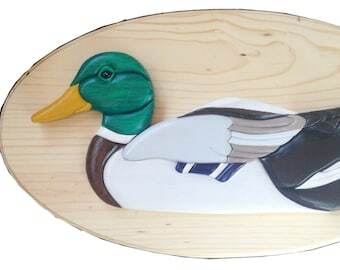 Intarsia is a woodworking technique that uses varied shapes, sizes, and species of wood fitted together to create a mosaic-like picture. Pieces are individually cut on a scroll saw and then hand carved and sanded to create detail and contours.